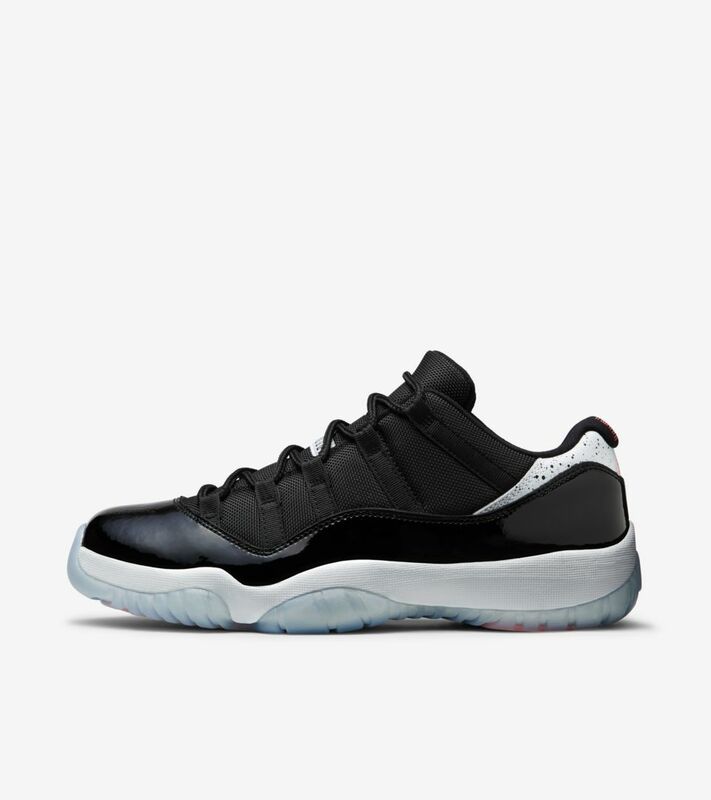 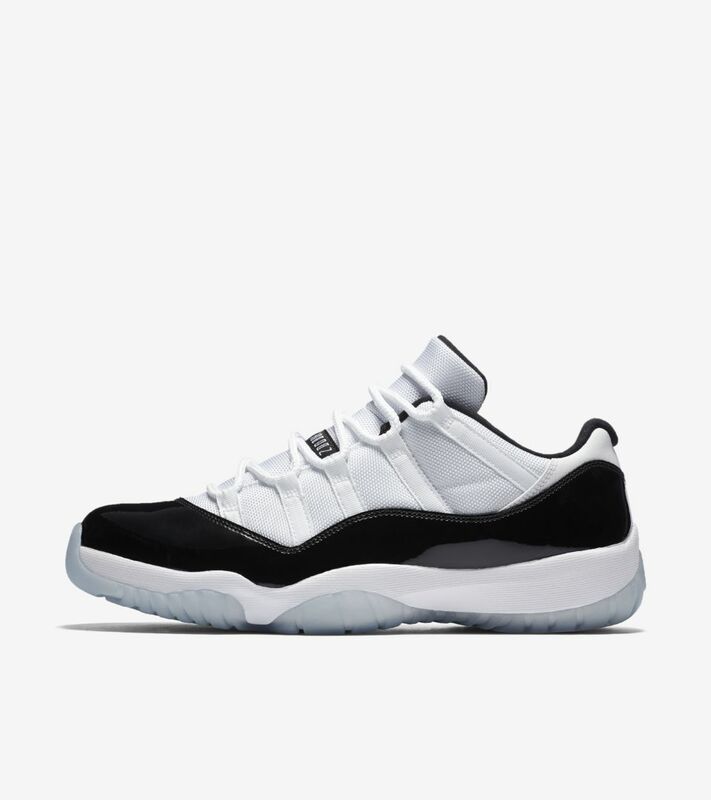 Released in 1995 and following Michael Jordan’s direction to bring a 'formal look' to the court, the original Air Jordan XI proved to be one of the most popular Air Jordan shoes of all time. 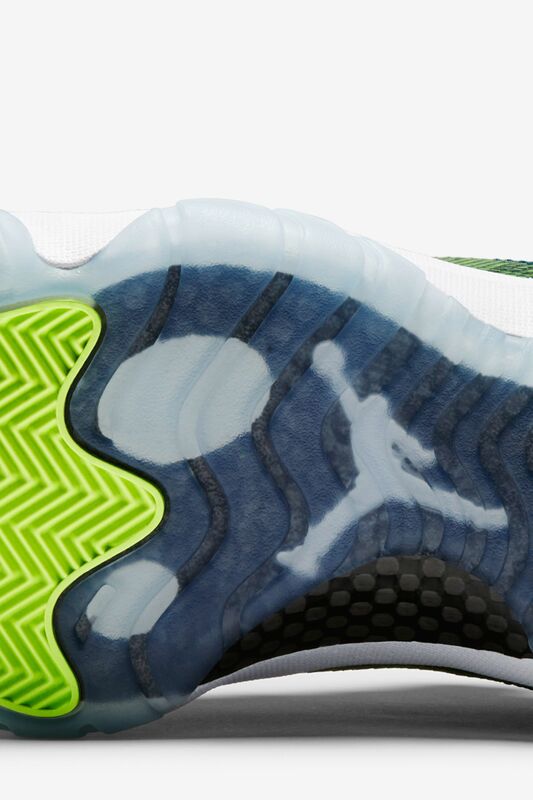 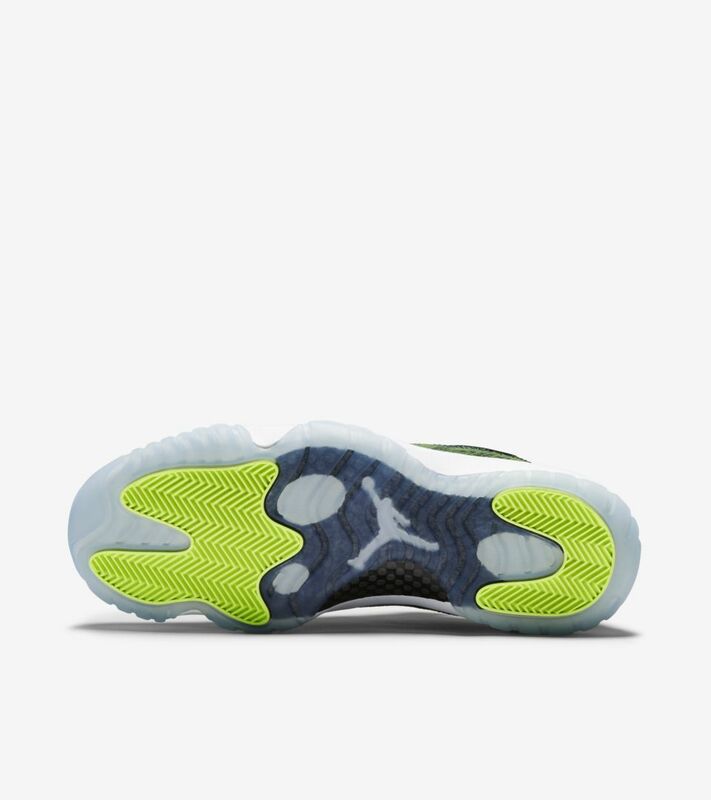 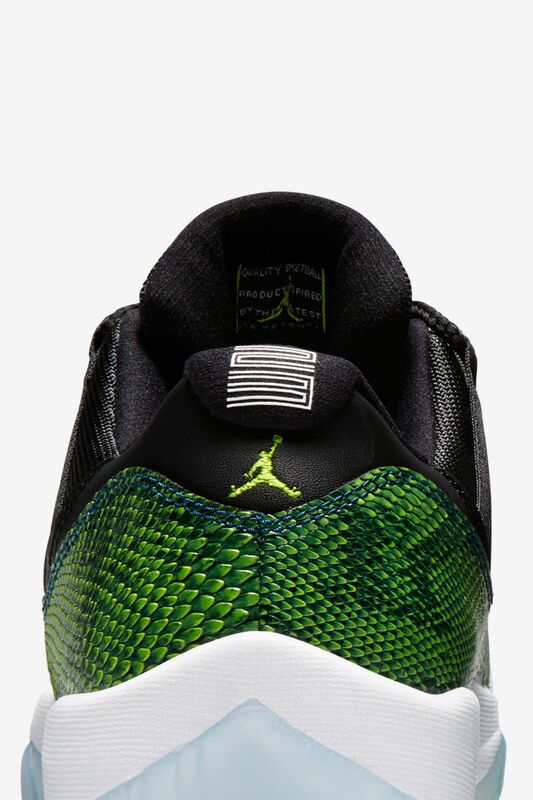 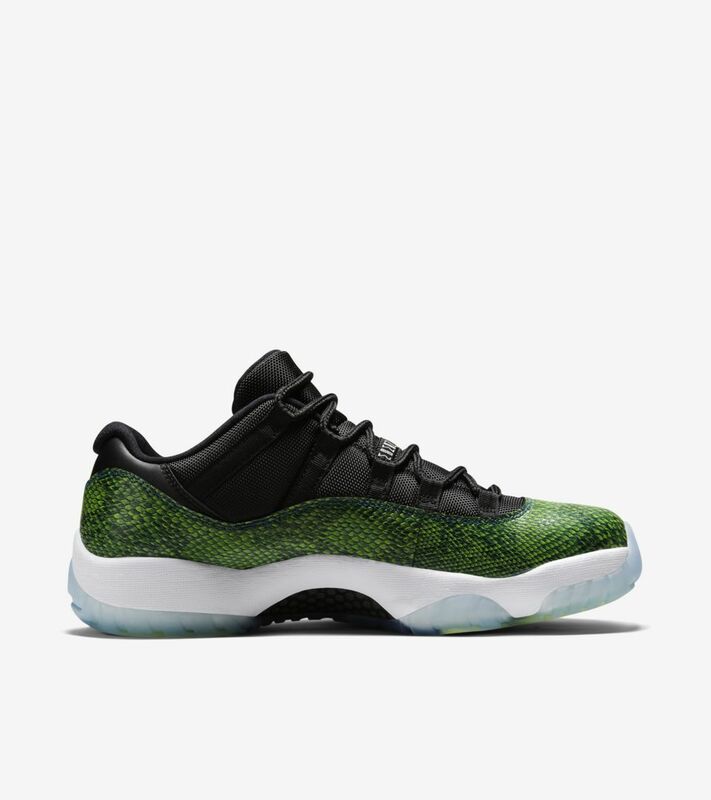 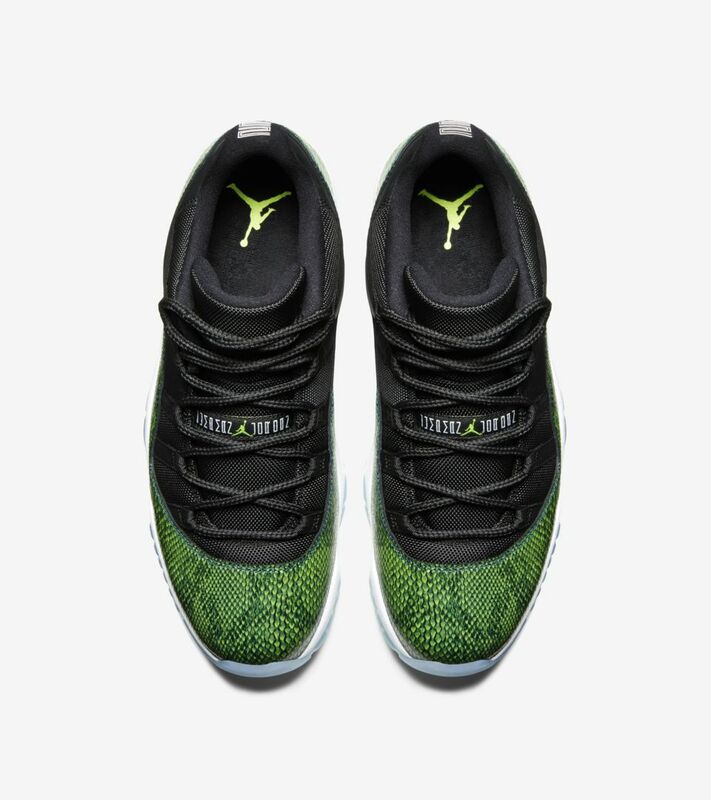 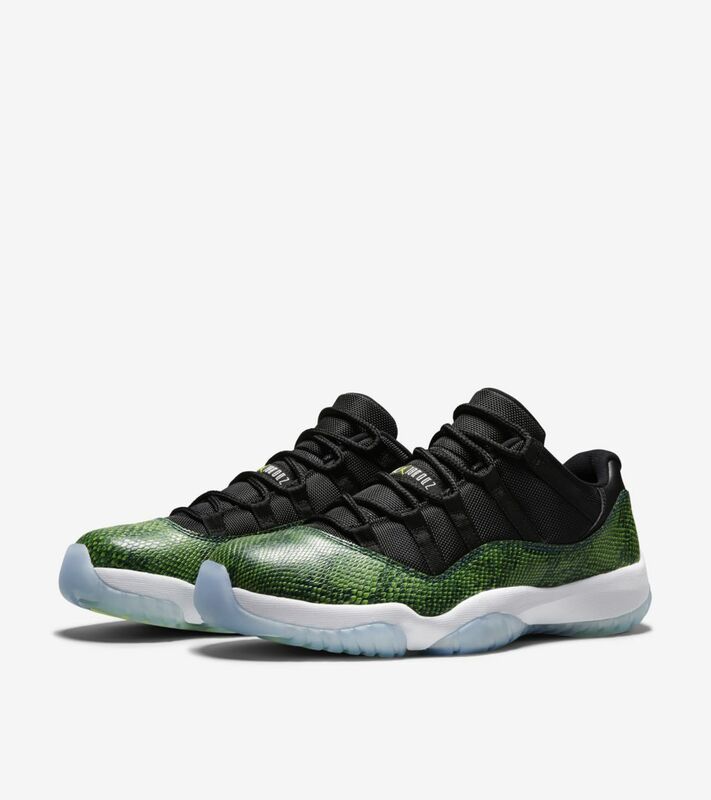 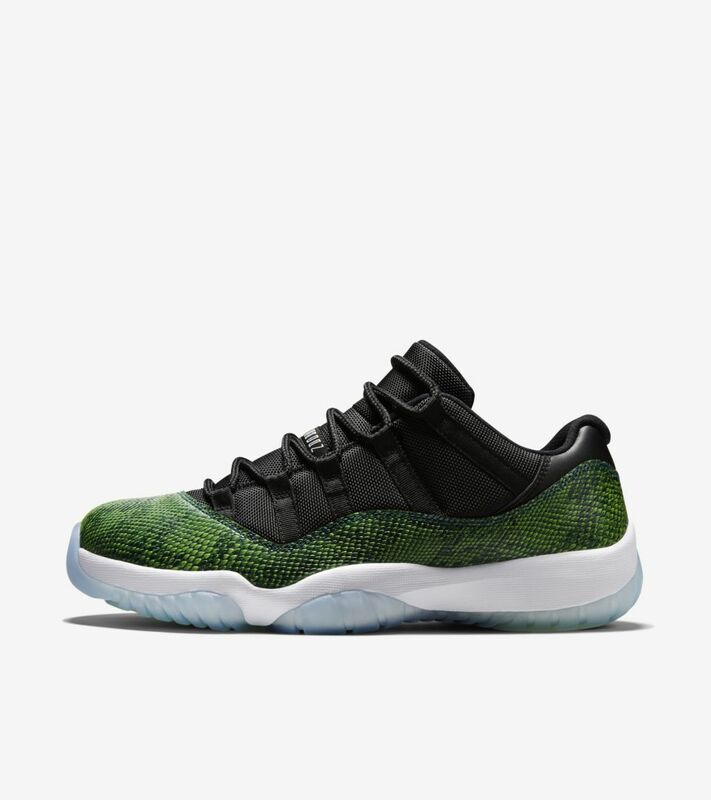 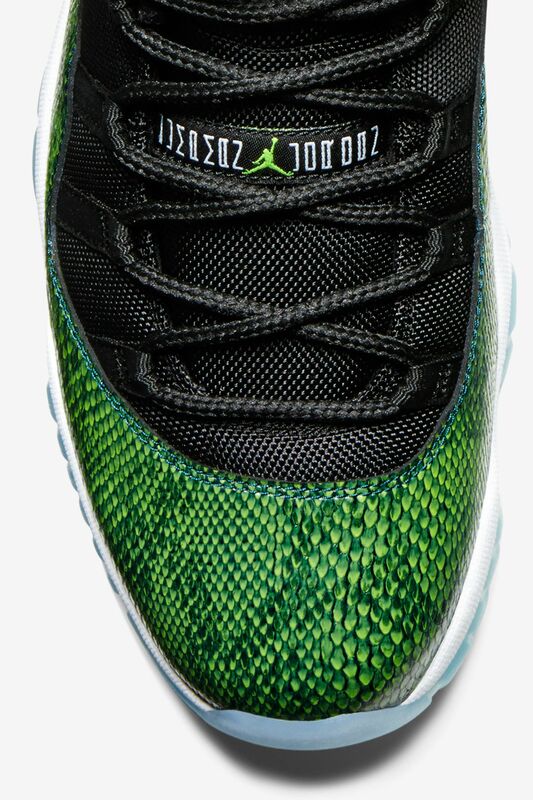 The Air Jordan XI Low 'Nightshade' continues the legacy, with innovative updates. 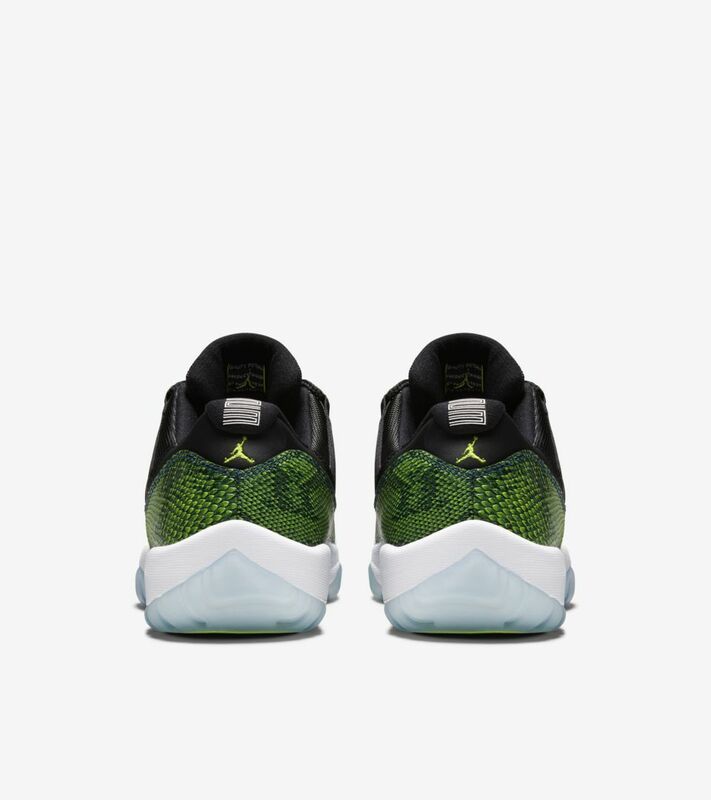 The original patent leather panels get a Snakeskin treatment, contrasting with the black leather/mesh upper and clear outsole with pops of Volt.